FYI, this is not a Lilly for Target recap post. You're welcome. This past weekend I was texting with some fellow mama bloggers turned friends and the topic of what photos we post of our babies, how we share them, and the fact that someone would be stealing their photos to use as their own came up. Though it had crossed my mind several times over, particularly as this little space of the internet I call mine has grown, this has been weighing on me more and more since Rowan came into the picture. Literally. I won't go too in depth because both Stephanie from Newlyweds:North and Megan from Willow & Co. outlined what I'm talking about in perfect detail, but it's dawned on me that I haven't been careful enough about protecting my photos. As a blogger, you should be watermarking your photos regardless of whether they are of your kids, vacations, DIY projects, or just a weekend recap. I love that readers want to pin photos from my blog but I know I need to be better about protecting them. That's not to say people want to claim my amateur photography skills as their own but it is important to protect your work and yourself. And on that note, make sure to check out this post on ways to be safe on social media. As for the future, my mama bear side is telling me to scale back on sharing photos of my little man. I still plan on posting photos of Rowan, though less than I'd like and with a big fat watermark near his cute face for all of the reasons Stephanie and Megan explained. After all, one of the reasons I started this blog was to share our life for our families and friends who live far away to see. If I totally pulled back on sharing photos of ourselves, what is the point? This blog is also about a lot of other things besides my son, which I suspect is why many of you stick around. Now that I am learning to be more productive during nap time, I promise more DIY projects, recipes, and fun posts in the future! I hope you all understand and make sure to protect yourself online and in social media! There is far too much crazy in this world. SUCH good stuff to think about. Doing a major overhaul on the blog and across my social media accounts. Thanks for sharing, Cait! It's such a scary thought! I'm glad all the mama bloggers are being extra cautious. I definitely would too with a little one! It is so crazy and frightening what people do. I think it's great to protect yourself and baby. I might be ridiculous but I've been watermarking over my daughter's face bc I'm scared of crazies taking her photo. 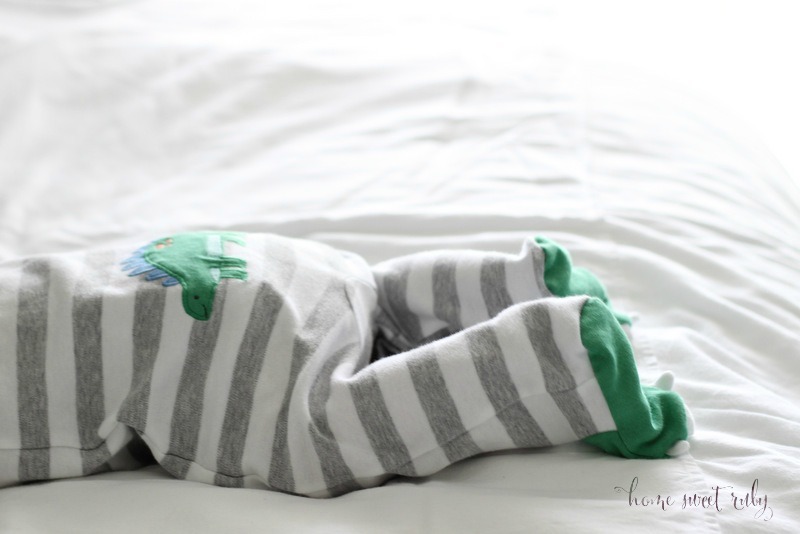 Keep sweet baby Rowan safe...but I'm glad you're going to keep blogging because I do love reading other new mom's experiences and thoughts! ...and that is ONE reason why my blog is private! Good for you!!! There are so many crazy people out there! Take care! Too many crazies out there!! I researched it some more after you told me about role playing and I thought it was interesting that's it's mainly young girls from broken homes! It's totally sick and they said they even steal pregnant women pictures too! Sick! I'm with Laura - don't make us virtually slap any more sense into you, Cait. You know we'll do it. How do you add a watermark to photos? What do you do it in?